Television ads are already airing that indicate the launch of a new partnership for the Department of Justice with stopanonlinepredator.org to earn much-needed political capital for the unpopular lame duck administration in its final days. 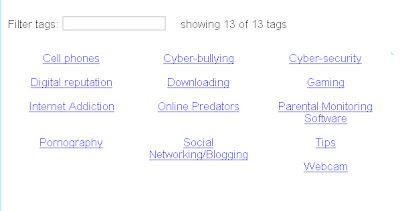 Not only is the anti-predator pitch trite and politically expedient rhetoric about cybersafety that gives little attention to balancing security with digital rights, but also the officially sanctioned DOJ campaign is easily confused with similarly named websites on nearly identical themes, such as stopchildpredators.org and stopinternetpredators.org. Furthermore, although the call to action may be admirable, this appeal to citizen mobilization seems to differ little from the pre-existing cybertipline.com from the National Center for Missing and Exploited Children website. Looking at the associated website for the initiative's public service announcements at knowwheretheygo.org, it becomes apparent -- just from their own tags -- that yet again the Internet is presented to young people as only a cluster of criminalized deviant behaviors rather than something that can also be a resource for information literacy and cultural participation. Is Sarah Palin's Refrigerator Running?